Our 360 Manicure Chair with 6 magnetic drawers is perfect for your nail salon, spa, etc. nail needs. The top and back features a soft cushion made with durable materials. This chair has a 360-degree rotation with easy open drawers providing easy access to all your manicure equipment. With gas lift and casters. Massey Task Chair w/ gas lift and casters. Choice of vinyl may be additional charge. 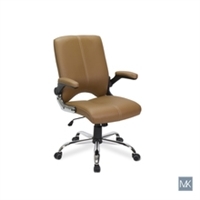 The ALUMA task Chair has solid cast-aluminum arms, a cast-aluminum footrest with powder coated steel supports and premium quilted stitching with casters and gas lift. 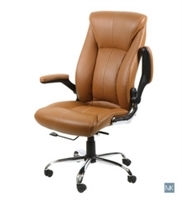 Silhouette Task Chair w/ gas lift & casters, silver arms, wooden armpads. Belize Task Chair w/ gas lift & casters, silver arms, wooden armpads.